Perth’s only outdoor, Cocktail Sporting Event - the first of its kind in Australia. Trade Wars will pit Trade against Trade in the ultimate bragging rights, The Battle for the ultimate Trade Belt. 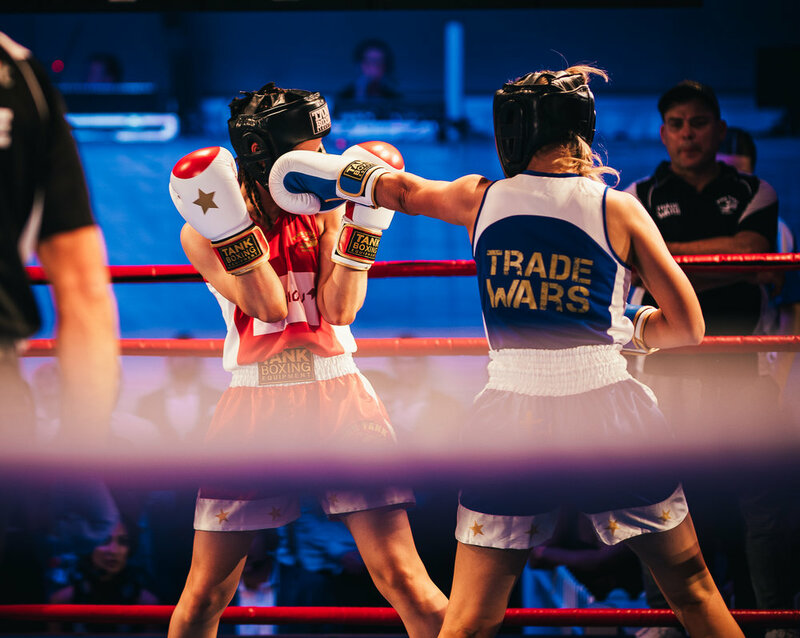 Trade Wars will see 30 brave everyday tradies, male and female of all ages, with no previous fighting experience and 11 weeks of training under their belts, jump into the ring in front of over 2000 of Perth’s party goers, media and sports lovers. This is charity boxing at its best! If you loved RQCC Trade Wars is for you. The Trade Wars Boxing Championship, will follow the famous RQCC based on the time honoured “Queensberry Rules”. The concept was derived in London in 1743, focussing on corporate England, typically pitting banker v banker, lawyer v lawyer. We will endeavour to raise money for Australia’s sick and disadvantaged children through children’s charity, ToyBox International. There is nothing like asking people to help when they’ve experienced all the effort involved and when they are having a great time! The training is the most important facet of this competition and we make getting motivated easy. Only 45 brave contestants will be able to accept this challenge. ONLY 30 of these will progress through to an opportunity of a lifetime. Step out of your comfort zone, get super fit & impress your colleagues and friends. Enjoy amazing media and promotional coverage for your business or sponsor and raise much needed funds for children in need. This is bucket list stuff.